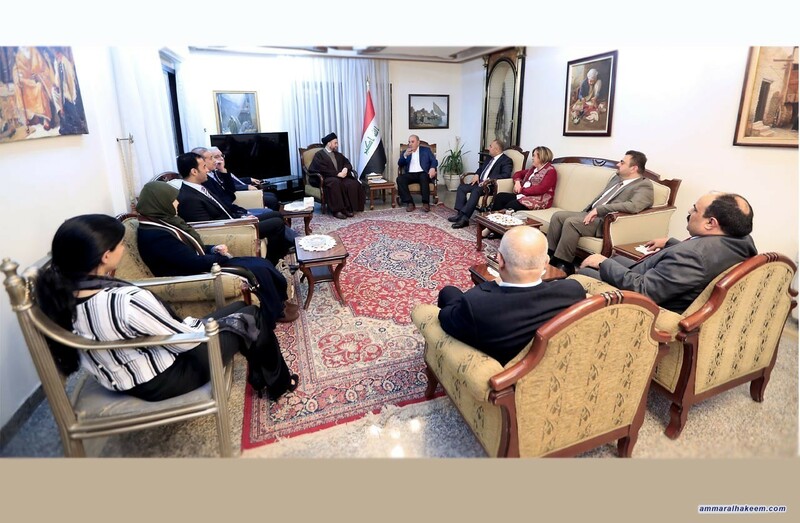 His eminence with Allawi discussed institutionalization of the Reform and Reconstruction Alliance and supporting the government in implementating its governmental program. His eminence stressed on the importance of preserving the successes achieved by Iraq on the political, security, military and social levels, pointed out that these successes are to be concluded with providing services, the fight against corruption and provision of job opportunities, reiterated his support the government in implementating its governmental program, stressed on assigning ministries characterized of being competent, honest and having management capacity to occupy vacant post in ministries. Regarding the political aspects on regional and international levels, his eminence stressed on the significance of Iraq to settle issues between protagonists in the region, considering Iraq's influence by virtue of history and the area range of ​​diversity, indicated that the political solution is the best solution to issues.